Tips to enjoy Ecuador low-budget ! There are perks for every country! Wouldn´t it be great to know about them beforehand, in order to be able to go and take advantage of them and enjoy even more a visit to a new country? This is why I feel that it is my duty to give you some tips. As an Ecuadorian who has lived some years abroad I think there are things to do and enjoy on a low-budget in the Ecuador so that you can have an even better time at this incredibly interesting destination. 1) Get a complete hair and beauty treatment! If you have a special occasion or just want to pamper yourself, you can enjoy a complete treatment with hair cut, manicure and even pedicure starting 20 USD. Serious? Yes, I am! 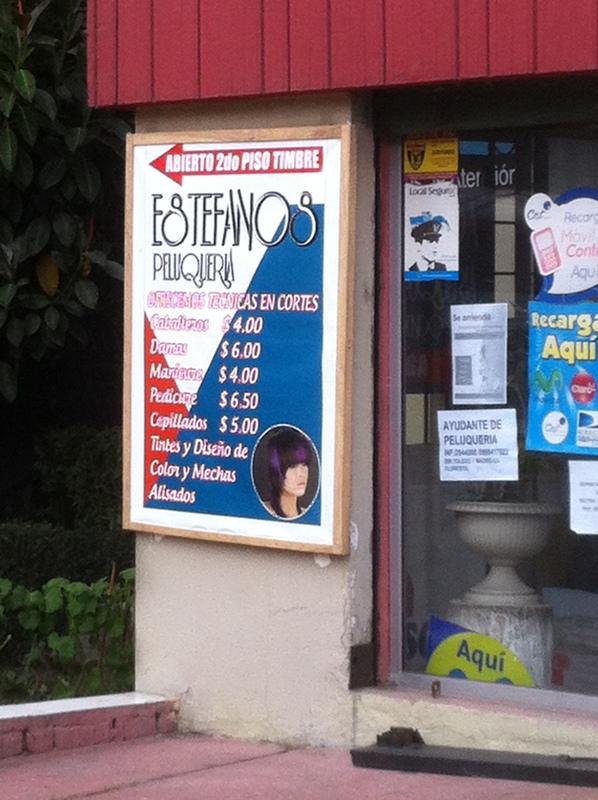 If you are planning on getting a hairdo, this would be a good time to do it! 2) Take a cab and get faster where you want to go! This is really a nice way to move from place to place, specially in the bigger cities. For example, for around 3 USD you can go from the modern part of town to the historic centre of the capital city, Quito. The only thing, you should always take official legal taxis. Ask at your hotel for help ordering one or take them from the entrance to the main shopping malls across the city, as these are completely safe. Yes, taking a cab in Ecuador, will allow you go get faster to places! 3) Street vendors, easy way to find some snacks on the go! 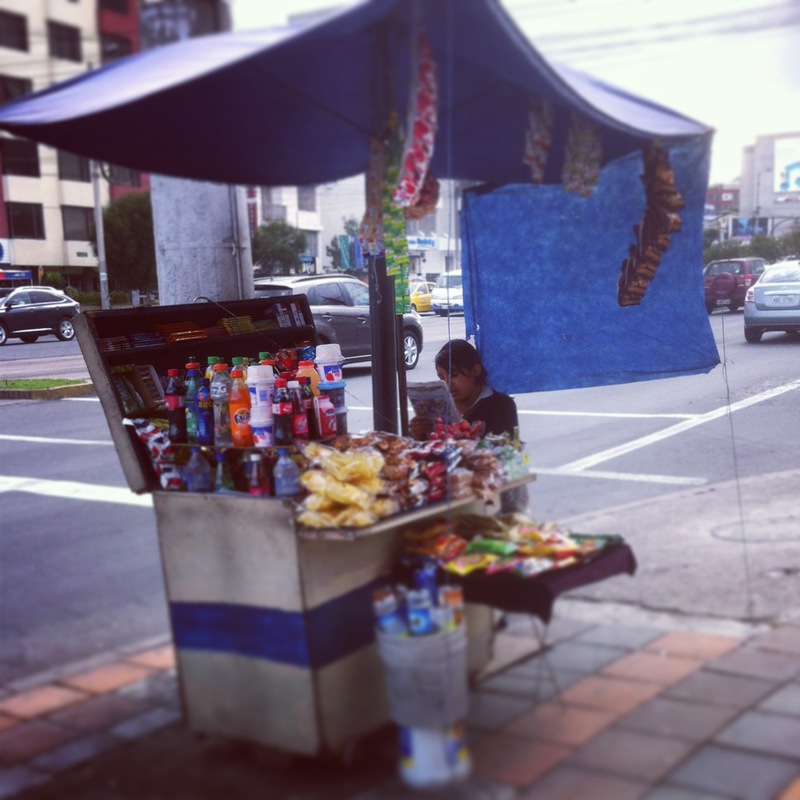 I think finding street vendors of all sorts is one of the things that strike the most to people who come for the first time to Ecuador and, well actually to South America as well. Whether you decide to walk or drive around the main streets in the main cities and you will find that ideally in a corner there are some small karts as the one in the picture, as well as vendors selling “car to car “, so that you can easily get a hold of basic snacks such as gum, chocolates, maybe some fruit, and then of course some bottled water. or with the vendors you may find from fruits and vegetables to home appliances or all sorts of interesting stuff. 4) Taste the best local beer and treat your friends to it! Beer is one of the favourite alcoholic drinks in the world. Well, great news! 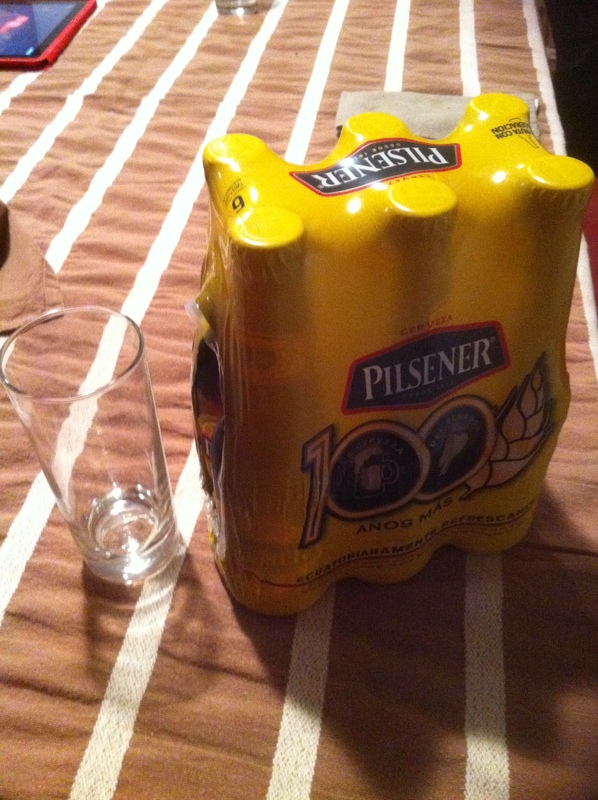 The company cerveceria nacional makes the best beer in the country, Pilsener! And you can buy a 6 pack for only 6 USD, take it to a party or invitation, a football match, watch a movie and treat your friends with the best local beer! 5) Small neighborhood tiendas, making shopping groceries easy! These are just very handy! 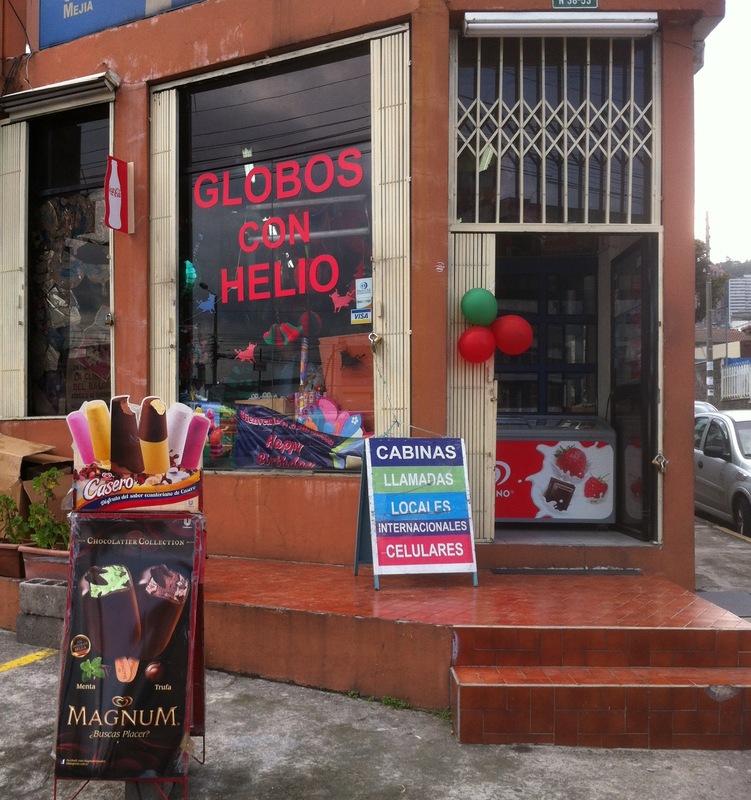 If you are in need of something to drink or forgot to buy some item at a larger grocery store, then find a tienda de barrio (neighborhood small/tiny store). These tiendas offer a wide range of items, from food to batteries. Just walk a bit around… the odds of finding one are very high! If you are travelling on a low-budget, or just want to enjoy every single penny, these are some of the things you need to consider on doing or buying when you visit Ecuador!